North Korea has been discovered developing its own Linux distro named Red Star OS. To make it even more interesting, it is said to be commissioned by the infamous Kim Jong-il. A Russian student of Kim Il-sung University at Pyongyang bought the distro for $5 USD at an information centre, and then shared his discovery through his blog. 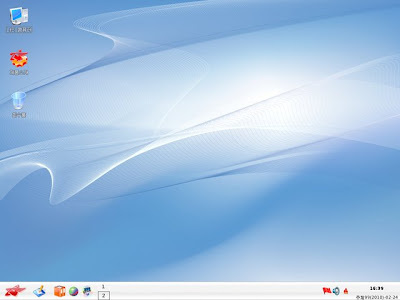 Based on looking at the screenshot above, Red Star OS is clearly using the K Desktop Environment (KDE) with a theme that is quite similar to that of Windows XP. It is pre-loaded with useful free and open source applications like a word processor (looks like OpenOffice.org Writer), web browser (based on Firefox), e-mail client, and even a few games. Red Star OS is pretty much a standard Linux distro except that it supports only one language, which is Korean. 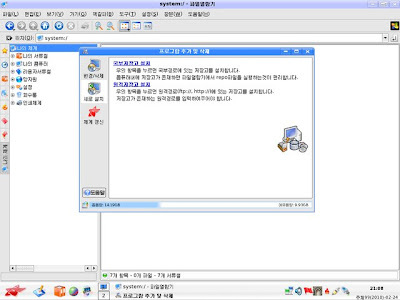 A few fascinating features of Red Star OS include a system clock with a date based on North Korean calendar that considers 2010 to be year 99 of its Juche ideology, and a readme file that contains words from Kim Jong Il, who says that it’s important that the DPRK have an operating system that gels with its values. Perhaps Red Star OS will be listed at Distrowatch soon and they could give us a download link or two. However, do you trust Kim Jong Il enough for you to download and install his endorsed distro? No! bud the screenshot looks fine. Any idea whether it's debian or redhat or... ? Kim Il Sung invented Linux. Some say it's based on Debian... but I'm not sure. I invented Kim Il Sung. I don't trust the North, let me know if ever they discovered a distro from South Korea. congratulations to North Korea. It will be a great discovery and will be develop more. More Power. I'm running it on a VM and -- other than the language barrier -- it feels quite familiar. VirtualBox reported it as a RedHat variant, but I think that's just because it picked out the word "Red" that I used as the title of the VM. It is a knockoff of MICROSOFT WINDOWS!